Hey folk, Valkor here. Podcasts have never been something I've never really been into. There are some that I listen to now such as the "The Warzone" over at TheBitBag, or I'd join in with NerdBlerp when they had (or will have once again) their podcast. Other than those two, there's not a podcast that catches my interest (but if there is one you think I should check out, please leave a suggestion in the comments). 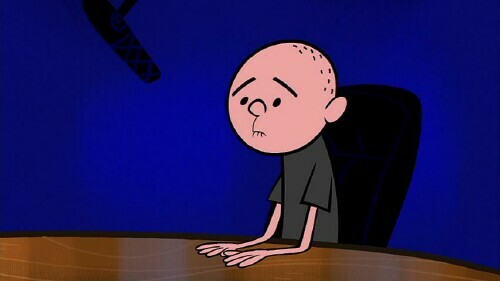 Thanks to the folks at Warner Home, I've become infected with by "The Ricky Gervais Show", which has left me in stitches! What does it have to do with podcasts? Read on. 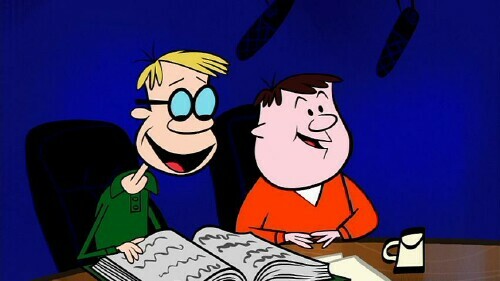 The Ricky Gervais Show is a podcast turned animated series, which began airing on HBO on Feb 19, 2010. The show stars Gervais, along with co-hosts Stephen Merchant and Karl Pilkington. And together they discuss daily musings, Karl's Diary, or Monkey News (stories or news bits that involve monkeys). But mostly Ricky and Stephen spend the majority of the show mocking Karl, whose views are out of this world. The trio has been making folks laugh since 2001 and now, almost or exactly ten years to the date (which ever way you choose to look at it), we get to enjoy this unique series at our leisure, no PC or premium channel required. In total you get 13 episodes on two discs, each edited for time because the original podcast originally ran for about three hours, along with two extra features – Comedy Gala Animation and Episode Storyboard. OH! Chimpanzee That Monkey Review!! This DVD set is absolutely hilarious! 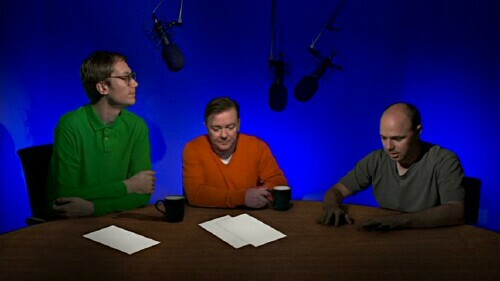 First Gervais, Merchant, and Pilkington are a crack up. The way they bounce jokes off of one another is hysterical, especially when they start ripping on Pilkington, who I'm surprised hasn't gone postal. When I first received the DVD, I thought it was sketch show of sorts. But when I found out it was about a podcast, I'll admit I was a touch turned off. But actually watching it? It's so freakin funny. And what's great about the DVD, is that I can watch it while I work, web surf, read, or whatever without actually having to watch the screen. Plus it's to about thirty minutes, which is refreshing when compared to most podcasts. 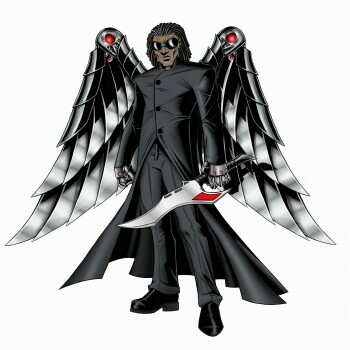 But you don't want to miss the animated bits, as those actually add to the funny of the series. I won't go into it, just watch. 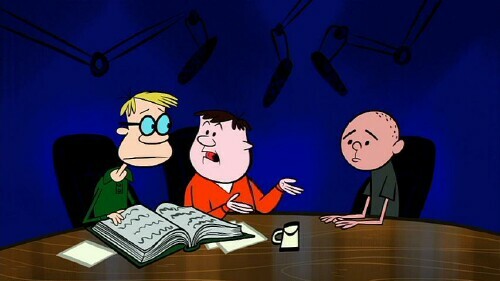 Monkey News and Karl's Diary will have you on the floor, not so much of the stories itself but the way Gervais and Merchant react to them – especially Gervais because his laugh is infectious. You can't help but laugh when he does, because it hits you right in the funnybone and you're tossed into a gigglefest.